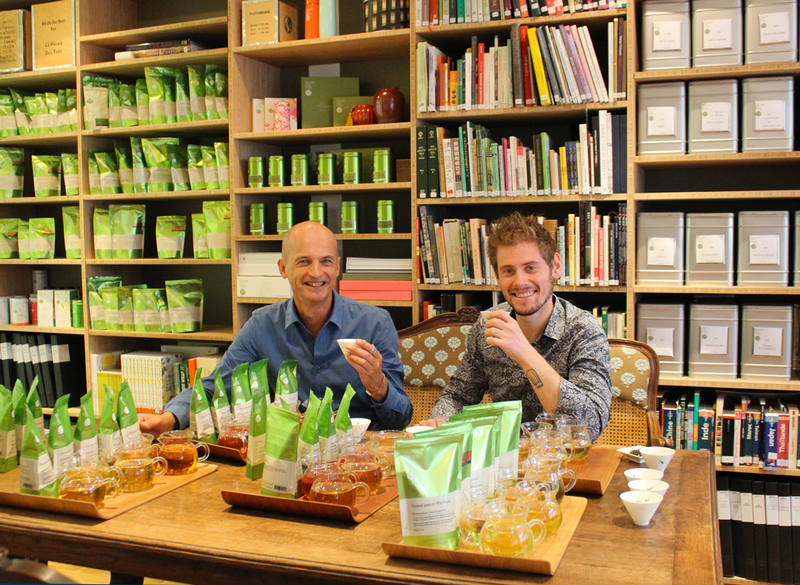 Part of my job is to introduce the incredible variety of flavours among teas to current and future chefs. This is the flipside of my work out in the fields with the farmers. On the one hand I select premium teas; on the other, I help chefs understand how to use them. There are teas of different colours, different origins and also of different varieties. These differences create the range and variety in the gastronomic qualities of tea. You have to taste them to understand, which is what I’m doing here with Bryan Esposito, pastry chef at the Collectionneur Hotel in Paris and former pastry chef at the Westminster Hotel. Introducing someone to the great range in the flavours of teas also means explaining the best way to obtain the liquor for the intended use. The amount of tea used, and the time and method of infusion, will differ depending on whether you want a liquor to be consumed as it is or used in a recipe. It is interesting to experiment with different aspects of the infusion method, including cold infusion, which opens the way to many uses in the kitchen. It goes without saying that I’m looking forward to tasting Bryan’s new creations!